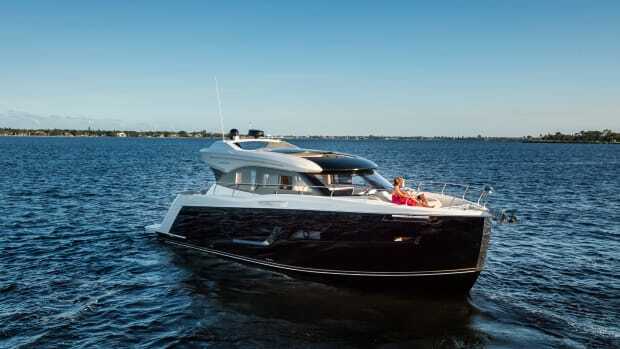 Bayliner continues to expand its lineup of affordable, value-driven boats. 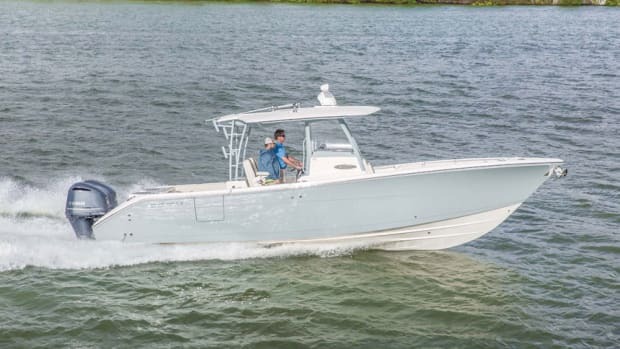 The company’s Element E21 deckboat rides the builder’s stable and sure-tracking M-hull, comes standard with a Mercury outboard and a trailer, and has a roomy and comfortable layout. 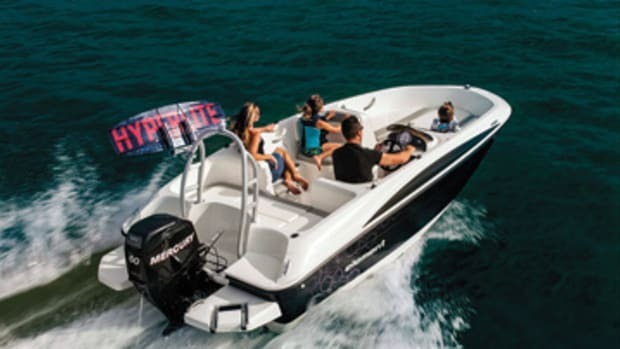 At 20 feet,	8 inches overall, it’s Bayliner’s largest deckboat, a self-bailing design aimed at water sports and other day boating activities. The builder packed a ton of clever seating into the Element E21, and it can be changed to suit the activities at hand. Forward is a bow “playpen,” with forward-facing side lounges and a center section that expands to form a sunpad. In the cockpit, abaft the helm and companion seats, is a U-shaped lounge that turns into a sunpad with drop-in cushions. The helm console is to starboard, and the port console has cooler stowage beneath. Extensions for the full-beam swim platform are optional. 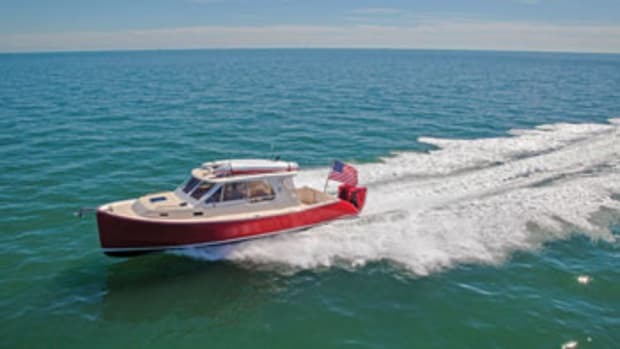 The M-hull, which combines a center vee hull with two outboard sponsons, is known for stability, tracking and a pleasant ride in a chop. 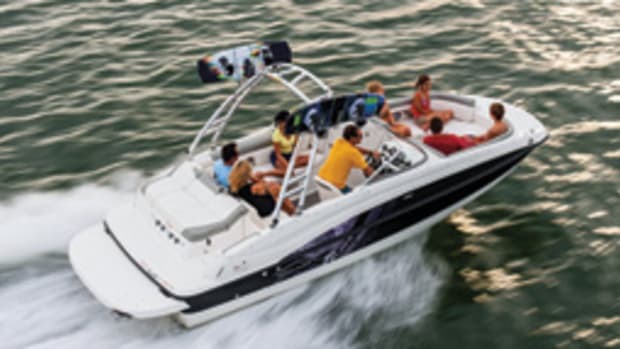 Standard power is a single 115-hp Mercury FourStroke outboard. 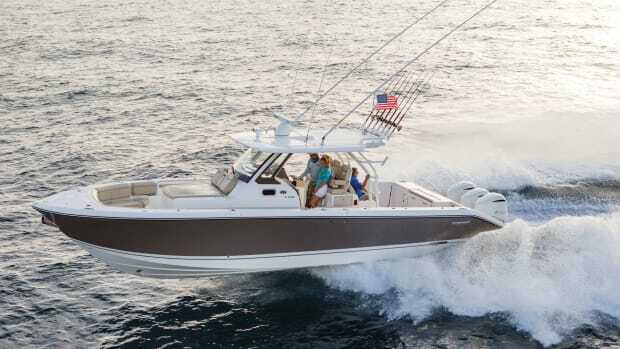 Buyers can opt for a 150-hp Mercury FourStroke for an upcharge of $4,214. 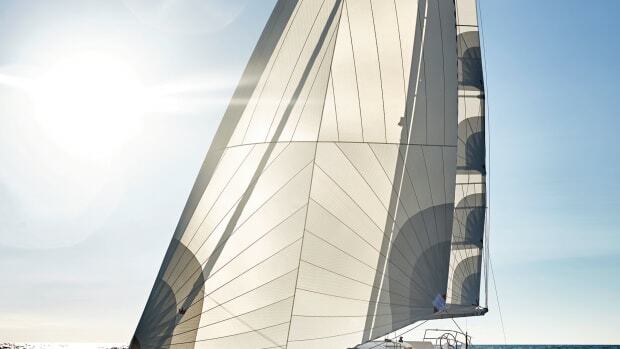 A stainless steel package and water sports and fishing options are available. Base price with the standard outboard and a single-axle trailer is $25,499.